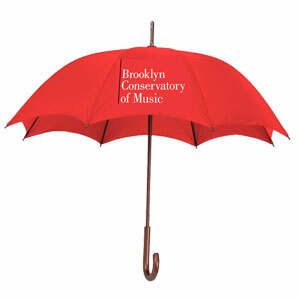 This stylish red BKCM umbrella is the perfect solution to your stormy day. Features a 48″ arc with an automatic opening that makes it easy to use. Designed with durable nylon, brown wood shaft, ribs and ferrule with a brown wood curved hook handle.